MENTION THE Numero label in some soul circles and you can nearly hear the toes curling due to the company’s preference for replicating original record labels for its own repressed 45s. For others its nice to have an affordable record the way it would originally have looked. Whichever side of the fence you stand on, one thing cannot be denied about Numero’s latest collection, Tinmine Soul Supply, and that is the quality. Add to this the fact that all the tracks have been taken from either original vinyl or master tapes, I think we can all just sit back and enjoy the music. Indeed it could be described as ‘a CD for vinyl junkies’. When I received my digital copy I was not sure what I was in for but when that Motown influenced drums and sharp guitar opened Lou Ragland’s ‘I Travel Alone’, I knew this review was going to be a labour of love. There are enough classic Northern Soul movers on this compilation to get a Wigan Casino original up and out of his slippers and spinning on a wooden, talc powdered, floor. Even some of the lesser known gems will satisfy the insatiable appetite of the soul collector. Walter & the Admiration’s ‘Man Oh Man’; ‘Ain’t Gonna Run’ by The Royal Esquires or Bob & Fred’s ‘I’ll Be On My Way’ have been heavy hitters on the soul scene for many years yet are rarely included on the usual Northern Soul compilations. To my absolute delight a few songs were unknown to me. ‘Baby, I Love You’ by Rudolf Jacob is a lovely gritty mid-tempo dancer, while The Notations’ ‘Now I Know How It Feels’ is a beautiful, modern sounding, sweet soul gem. 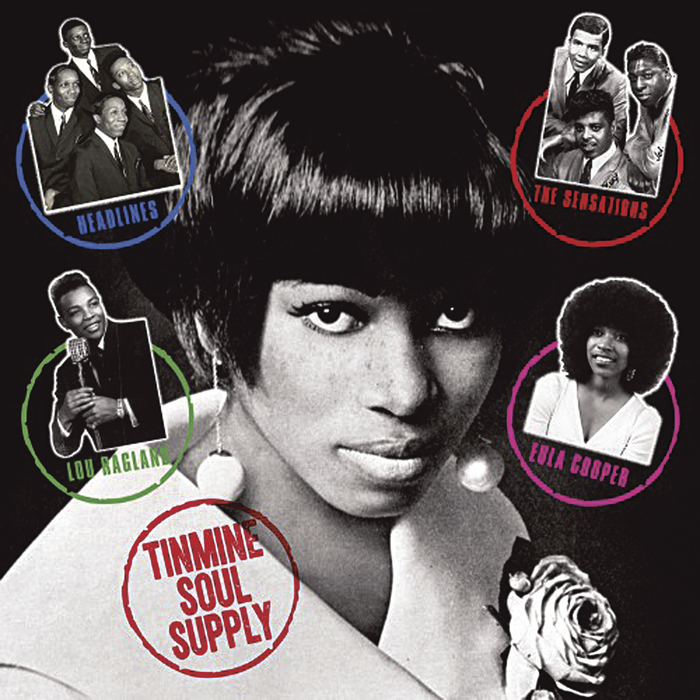 In fine Northern Soul tradition Numero have concluded Tinmine by featuring a classic ‘last track’ at the end. Bob and Fred’s ‘I’ll Be On My Way’ is stunning ballad/dancer that will ring in your ear long after you have had your post all-nighter chip butty and are back to work on Monday morning. This collection is not only for the Northern Soul connoisseur. From the very beginning you are greeted with catchy rhythms, funky baselines, and lyrics as light or as heavy as you like. Something here for anyone with even a fleeting interest in soul music.